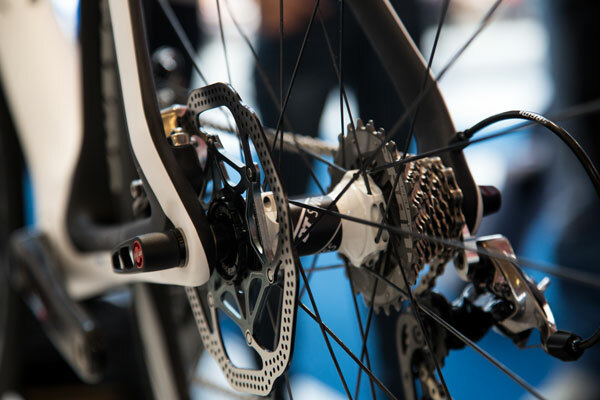 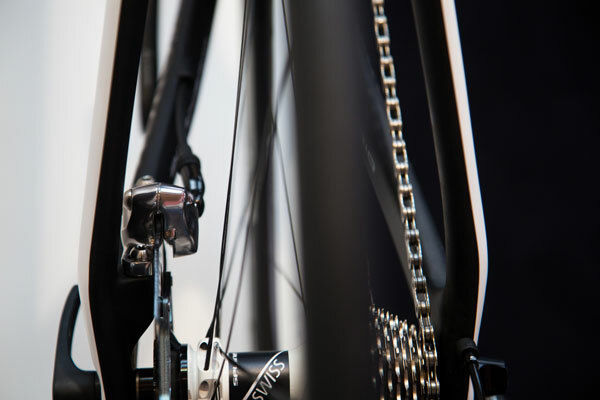 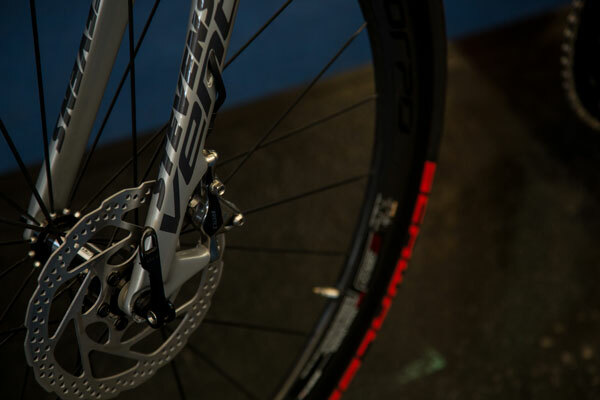 A big change for 2014 will be the sight of road bikes with disc brakes. 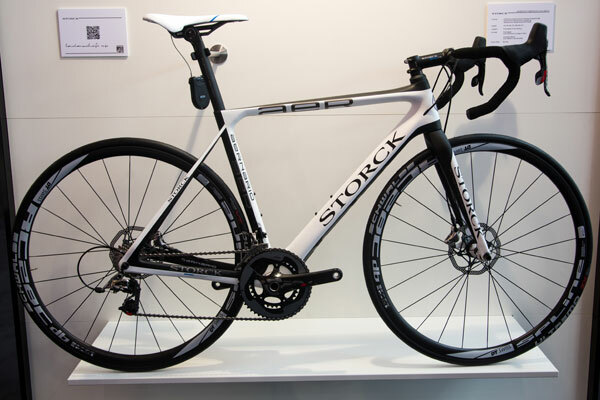 Here we have two from Storck, with the Aernario and Stevens with the Ventoux both using SRAM 22 HRD groupsets with the hydraulic braking system. 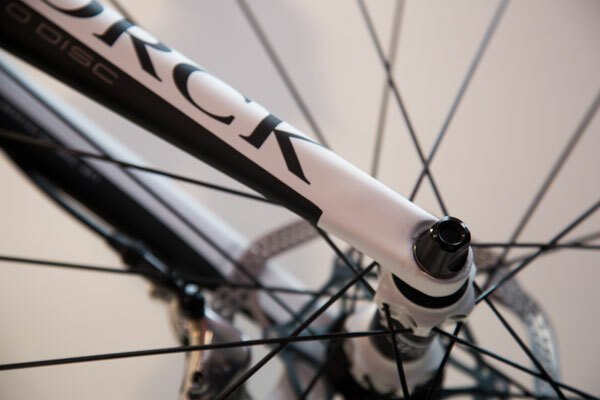 Sure to be great stoppers. 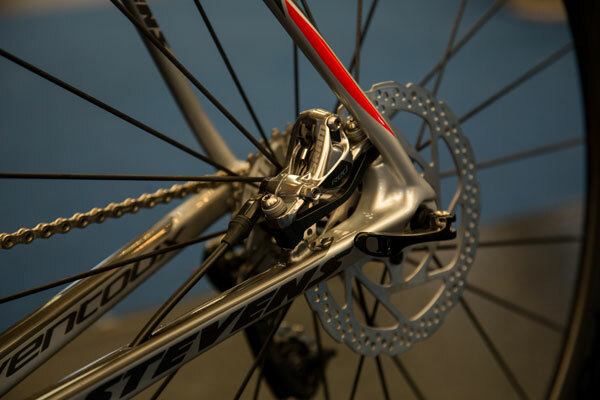 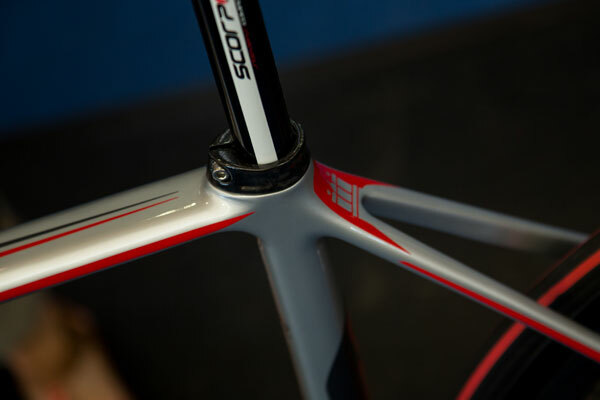 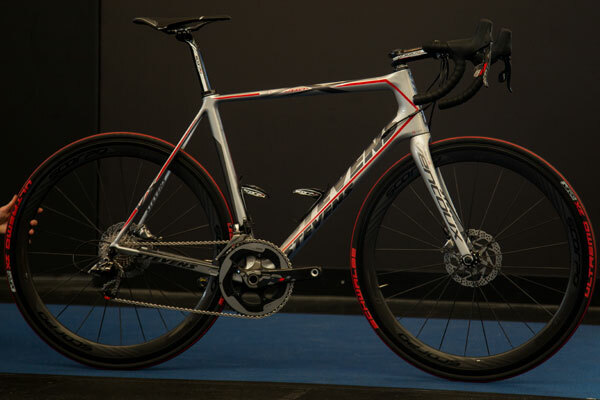 Stevens Vencoux uses SRAM’s Red 22 HRD (Hydraulic Road Disc) for the sportive-oriented bike and, like many others, uses internal hose routing through the non-drive side fork blade.